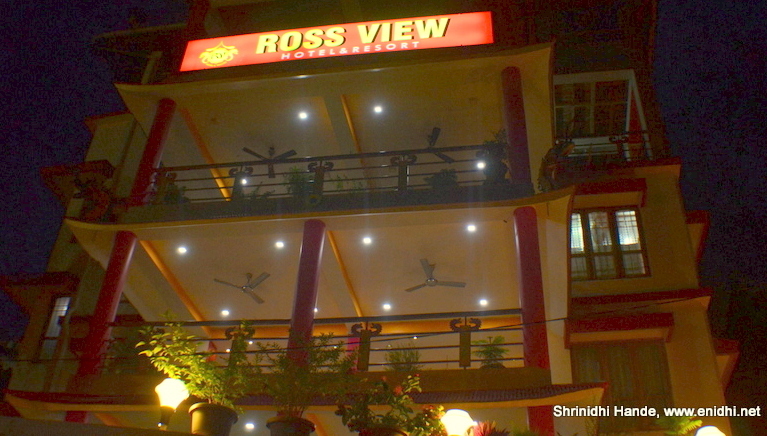 Ross View Hotel has 9 rooms in total. Premium rooms are located in first floor while cheaper rooms are in ground floor. It appears to a housing building converted into hotel, but lots of care has been shown while doing so. 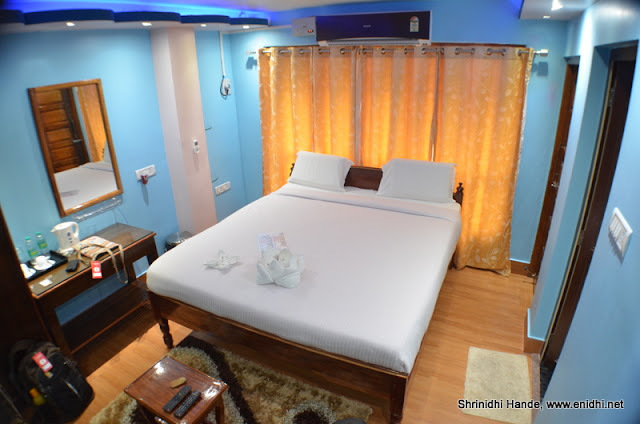 Rooms have artificial ceilings, ambient lighting (select rooms), shiny wooden doors, new AC units and choice of premium furniture gives the hotel good premium feel. 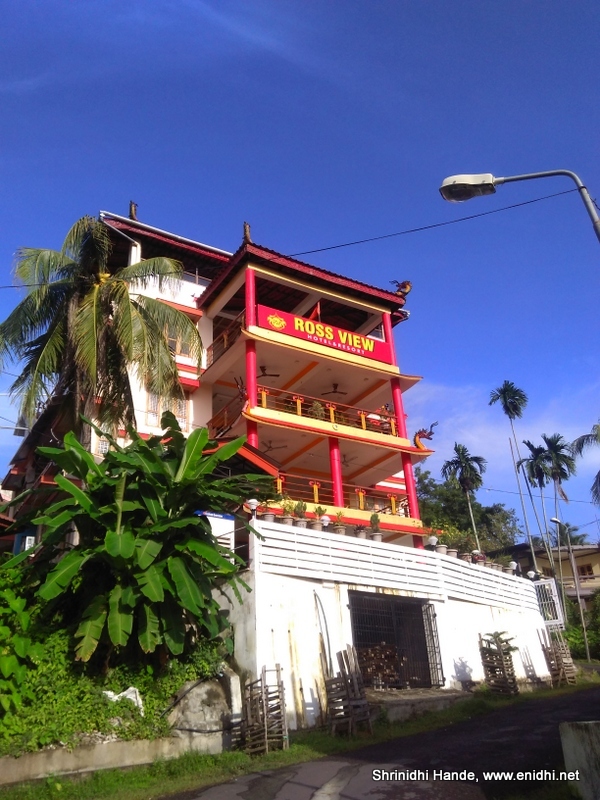 Located on a slightly elevated ground, one can see the Ross Island from this hotel, thus it is aptly named “Ross View”. One of our rooms were upgraded to the premium room in 1st floor for one night. 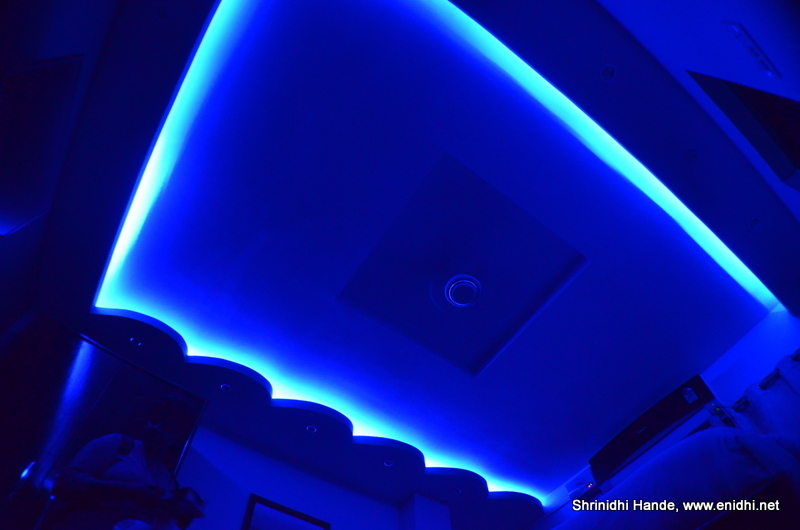 It had blue shaded night lighting which were cool and a small balcony. 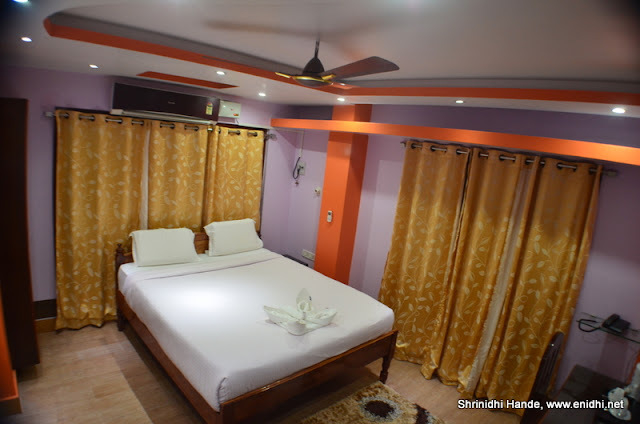 The premium rooms seemed to be slightly smaller in dimension but you will have access to large common areas in first floor, which compensates for reduced space inside the room. 1) On one of the days, we had to leave by 6.30 AM. Most hotels will have fixed timing for breakfast- like 7.30 AM till 10 AM etc and if you are to leave early, they act as if they don’t care- it is your loss. But Ross view folks provided us packed breakfast at 6.30 (sandwiches and juice packs) and I was pleased with this gesture. 2) On one of the days we got food from outside and ate it inside the premises. Management didn’t mind. 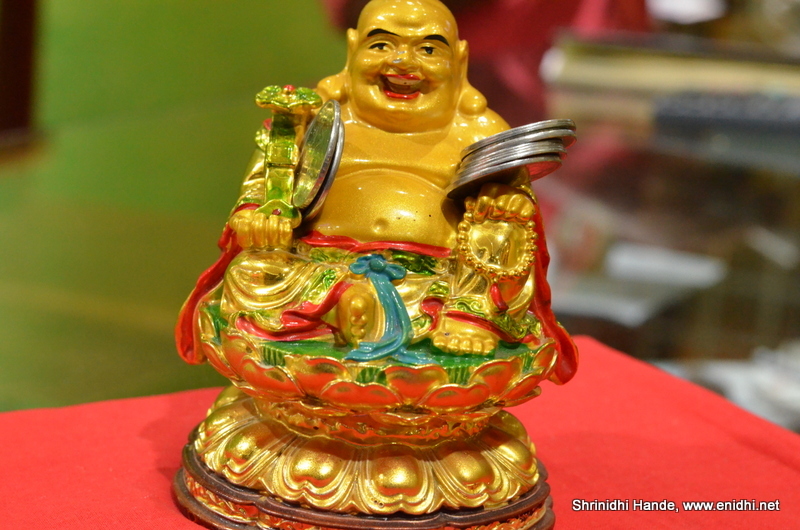 3) The owner lady, Anita Singh and her brother were very helpful throughout our stay. They helped us plan our exploration, arranged transport and boat booking at actuals, advised us to take an auto where possible and save big money on taxi and so on. 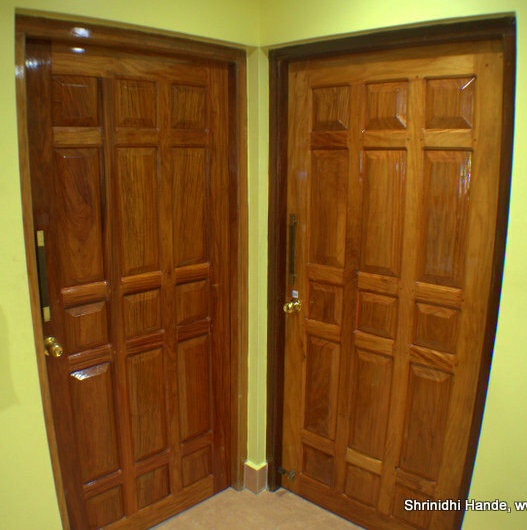 Their physical presence in the property and local information/expertise was of great help. 4) Most hotels insist on full rental to be paid upfront (if you’ve not paid already during booking) on arrival and an additional security deposit. Ross View staff never asked for money. Only the day before check out I paid some advance amount and cash for boat booking. This level of trust shown in us was touching. 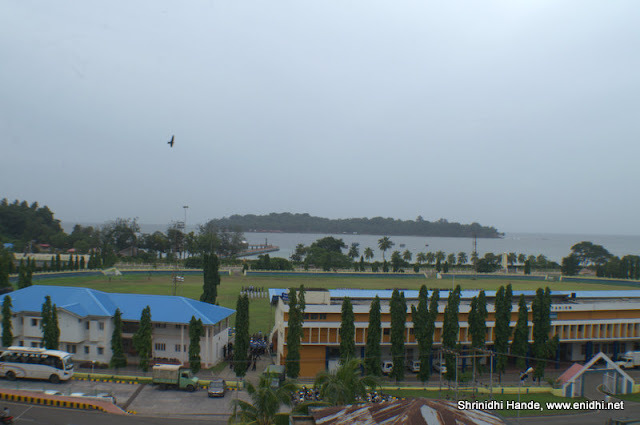 5) Cellular Jail, Boat Jetty (for both Ross Island and Havelock) and many places are within 1-2km radius of Ross View hotel, hence it is possible to walk and save big money on taxi if you stay here. Located right next to popular Netaji stadium, there is no need to give directions to auto guy or struggle to find our way back to hotel. 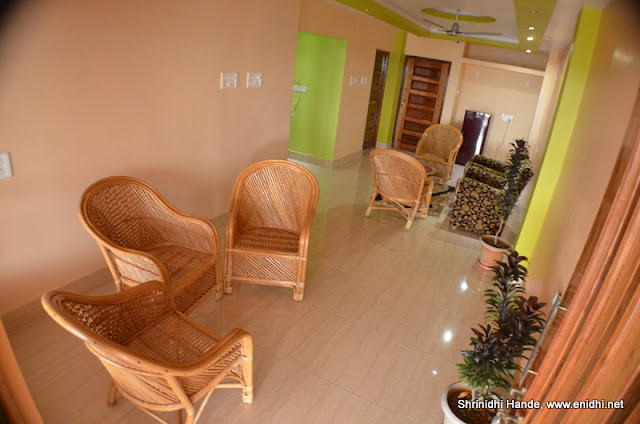 6) Adequate drinking water was provided to us throughout our stay at no extra cost. 7) We had booked 4 rooms, but since one person cancelled, we needed only 3. Without any issue or cancellation fee, management charged us for only 3 rooms. 8) While Ross View hotel provides good food in house, a veg restaurant (Annapurna) is within 1 km distance from hotel. Other essentials like shops, ATMs etc are also within walking distance, if not next door. 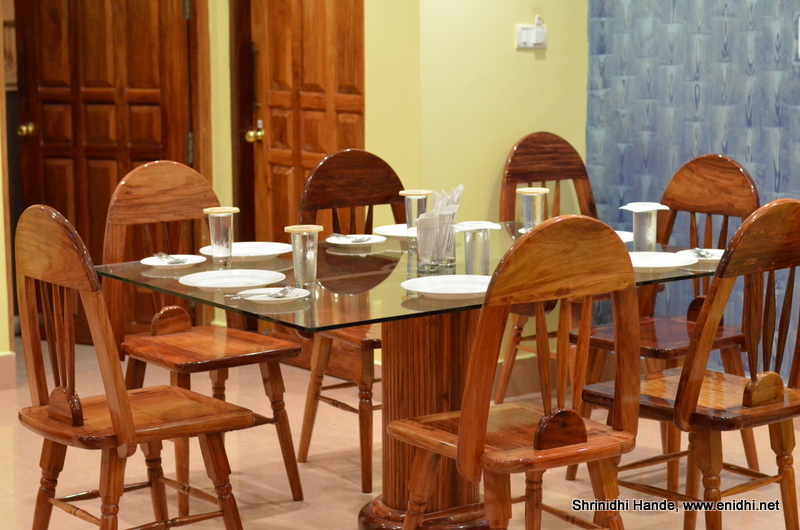 9) Dinner/Lunch for 6 people- about 1 item each costed about Rs 1000, which is reasonable. 1) Pillows were a bit thin and small. Bigger and better pillows will be better. Didn’t make any difference for me though and also I am sure staff will help if required. 2) The dinner set up involved lots of glass, ceramic and other delicate items. Feels good and adds to appeal but forces us to be extremely careful with every move, as these tend to break at slightest provocation. Metal/plastic cutlery are more durable and give better peace of mind though not as stylish as glass/ceramic ones. I am not sure what other guests would prefer in this regard. 3) While Ross View has good view of the ocean and Ross Island, the view is only available from the main balcony. Room windows do not have much of a view. If you are planning to spend lots of time in the room and prefer good view/balcony you may wish to check other options. We didn’t have any issue with this as we spent most of our time outdoors. Internet connection was very weak to almost zero at most places in Andaman, across multiple networks. Hotel WiFi was also weak but worked, but I guess that is common issue in most part of the islands. I heard that OFC work is planned, which can boost connectivity. Even during our return flight, Spice Jet check-in counter had to be suspended for several minutes as they faced connectivity issues. 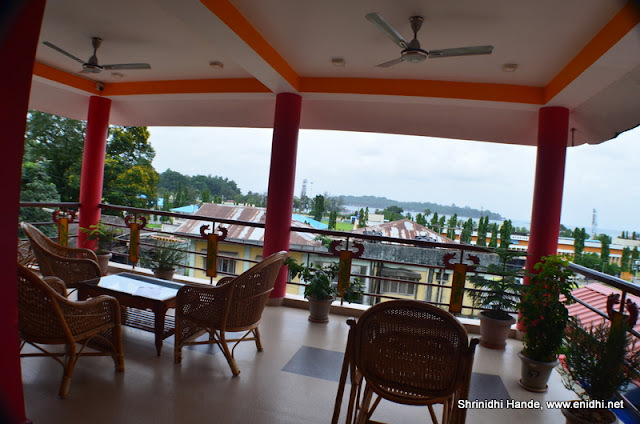 Closing remarks- I have not stayed in any other hotel in Port Blair to offer a comparison, but we were fully pleased with the way our Andaman trip went and good part of this because of our hosts at Ross View Hotel. Level of flexibility and personal attention offered was unmatched in any of my recent hotel stays. Unless you’ve identified a much better place, I feel you can consider Ross View Hotel for your stay at Port Blair. I am given to understand that this is a new hotel operational since last November only. I wish them success and hope they will retain same service level in future. There is no way any hotel can restrict outside food .As a courtesy if you do decide to do that just take care to ensure that no linen etc is soiled .As long as that is done dont think its any hotels business to interfere in the food preferences and force somebody to eat at their restaurant. Yes you cant eat outside food sitting in a common dining area. We used their dining table to consume outside food and they also had to spend some effort to clean the leftovers. Good review. When you visited, at what time in year. Are they charging more in season and less in off-season ?